Serenity Irene Stuckey was born on March 21, 2018 at Grant Hospital, Columbus Ohio. During her brief time with us, she touched many lives in a profound way. Serenity transitioned to her eternal home on March 22, 2018 at Nationwide Children’s Hospital, Columbus, Ohio. She was resting in her mother’s arms. We celebrate her life and know that she is now resting in the arms of her heavenly Father. Though we mourn, we also celebrate because we know she is in a better place. 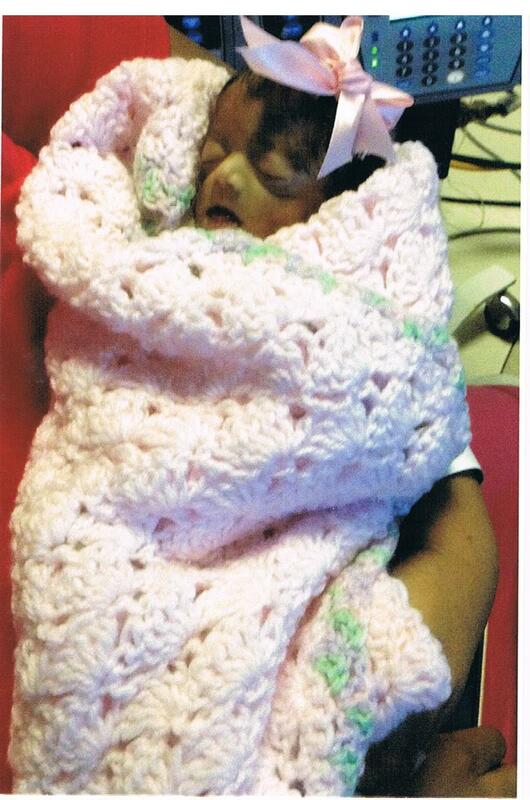 Serenity Irene Stuckey is survived by; father Arsenio Stuckey, Cincinnati Ohio, Mother Whitney Irene Curry Stuckey, Sisters Paige Thomas, Cincinnati Ohio, Olivia Irene Curry, Columbus, Ohio, brother Armond Zavion Stuckey, Columbus, Ohio, Grandparents Anthony (Mary) Curry, Columbus, Ohio, Emma (Lewis) Booker, Columbus, Ohio, Great- Grandmother Johnnie Mae Curry, Columbus, Ohio and a host of Uncles, Aunts, Cousins, and Friends. Serenity Irene will forever live in our hearts. Visitation 11am and Funeral 12noon on Wednesday March 28, 2018 at MARLAN J GARY FUNERAL HOME, THE CHAPEL OF PEACE EAST 5456 E. Livingston Ave.
As we mourn this sweet baby girl, we celebrate that Serenity is with our heavenly father being loved and shared with those in heaven who passed before us. May her name sake of peace and calmness give her Mommy and family comfort knowing where she’s rests. No words can ever replace a child’s presence on earth nor the loss of her precious presence, but may our Lord surround her family with love, comfort, and peace knowing that she will live on in eternity. Love to you Whitney and your Mom Em. I love you both and pray for you to feel God’s love even more during this difficult time. Heavenly Blessings to the entire family. God Bless you dear Serenity!!! It is so hard to know what to say at a time like this. It is never easy for a mother to lose her child, I can only say God knows best and she could not be in a better place. If she can not be with you then heaven is only place that she can fine peace, joy and happiness. God bless you praying for you and the family. To the family of Serenity, you have my deepest sympathy in your loss. Death is one of the most difficult situations we must face, especially when it is a child. At Revelation 21:4, God promises “And he will wipe out every tear from their eyes, and death will be no more, neither will mourning nor outcry nor pain be anymore. The former things have passed away.” May you have faith in God’s promises. My prayer is that you will receive comfort and peace from the bosom of our Heavenly Father. May you rely on the strong circle of loved ones and friends who have pledged support to you. Please count me as one who will walk along side you as you heal and never forget that His grace is sufficient for you. Words cannot express the sorrow I feel for your loss. May time and God’s promise at John 6:40 ease the your grief.